Automatic garage door openers perform a complex task without fuss – most of the time. When things go wrong, however, this can be dangerous for anyone nearby, and potentially expensive to fix. Your door relies on a complicated system of springs, tracks, and levers that requires constant maintenance in order to operate as designed. This system gets put under strain over time, which can lead to damage. Left unattended, this can build up to a complete breakdown. This is why our technicians recommend regularly checking for signs that your door may be overworked, and treating small fixes before it’s too late. To watch your door glide effortlessly up and down at the touch of a button, you would never guess just how heavy it really is. These movements are enabled by the springs, which lift and lower the door. Over time, all this weight can take a toll. The result? Worn out springs cause imbalances at particular points, leading to further strain and more damage. A door that is not properly balanced could come dislodged from its tracks and jam, and this can tax and even seize the motor. Consistent check-ups can help prevent this kind of system failure – we can carry out any tension adjustments as needed. As springs are subject to wear and tear, they may become rusty over time. If left to spread, this will cause them to deteriorate quickly. Lubricant can help in both respects – it will keep your springs smooth even as the friction builds with everyday use, and guard against rust if your door goes unused for a while. Our professional technicians will examine your springs for signs of under - or overuse, as we understand these components are crucial to the long-lasting health of your door system as a whole. Are Your Safety Sensors Working Properly? During our regular maintenance sessions, our technicians focus on preventative measures: we examine the springs for signs of damage, and check that your door is balanced correctly. We'll also test your safety sensors to ensure your door is reversing when it should. Your photo eyes, placed across from one another, are built to detect when an object is obstructing the door’s path – this mechanism prevents the door from striking a valuable object, or from becoming damaged in the process. Our technicians can run a series of tests to ensure these photoelectric eyes are perfectly aligned and functioning properly. There’s no such thing as an indestructible garage door. To book your next maintenance appointment, call our experts at Garage Door Repair Marietta today. We know how to solve every type of garage door problem there is, from broken springs and malfunctioning openers to faulty electrical components and dented door panels. Take a look at our website to see what we can do for you. You can also use our online system to set up an appointment. Our technician will contact you before arriving. Until then, feel free to browse our website! 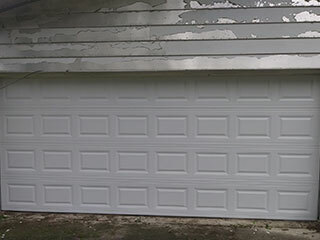 Garage Door Repair Marietta is at your service!